Cutwater Boats said it will launch two new models — the 24 Sport Coupe and the 30 Sport Coupe — at the Fort Lauderdale International Boat Show. 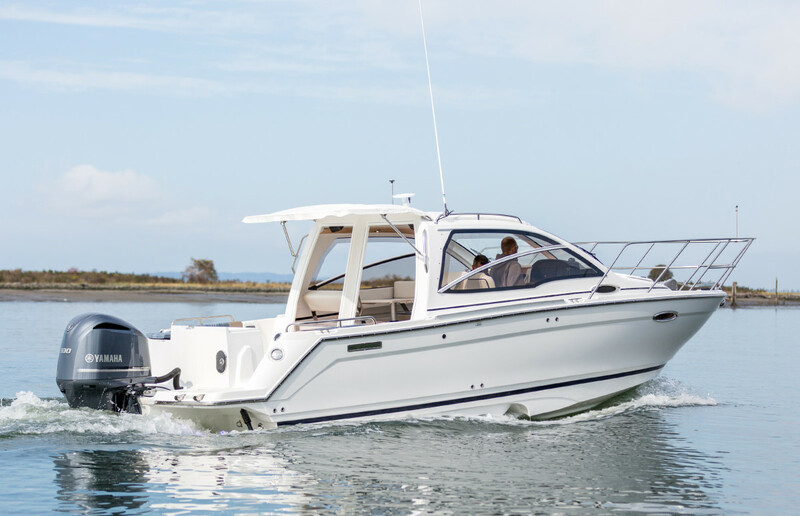 Cutwater is expanding further into outboard power with the launch of Sport Coupe models such as this Cutwater 24 Sport Coupe Open Bulkhead, which will debut at the Fort Lauderdale International Boat Show. 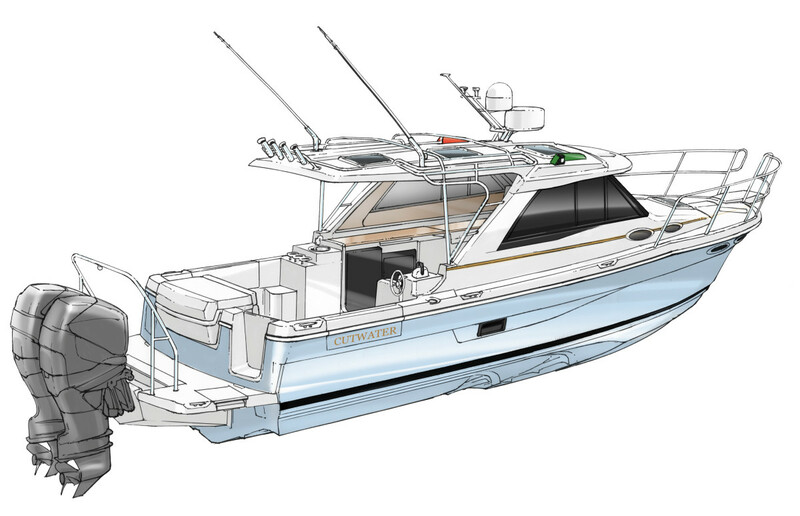 The Cutwater 30 will be the builder’s first model to feature twin outboards with two Yamaha 300-hp engines. The models feature a completely new transom design and an open cabin/cockpit configuration. They will be displayed at B-dock, 215-221 at Bahia Mar at the Fort Lauderdale show, which runs from Nov. 3-7. New for Cutwater, both models have double-stepped hulls that also feature Cutwater’s patented Laminar Flow Interrupter technology. The company said the double-stepped hulls increase efficiency and performance, reducing fuel consumption and contributing to both models’ quick time to plane. The new transom design on both models features an integrated live well, sink, drop-in barbecue grill and transom shower. The C-30 is powered by twin counter-rotating Yamaha 300-hp outboards and features a revised cabin top and cockpit that features a 30-gallon live well, fishbox, rod holders and sink. The C-30 accommodates six people on three separate berths and has a Euro-style galley. The Cutwater 30 Sport Coupe, also set to debut in Fort Lauderdale, will be the first Cutwater with twin outboards. The boats also are slated to appear at the St. Petersburg Power and Sailboat Show, Dec. 1-4; Vancouver (B.C.) Boat Show, Jan. 18-22 ; Seattle Boat Show, Jan. 27-Feb. 4; and the Orlando (Fla.) Boat Show, Feb. 3-5.